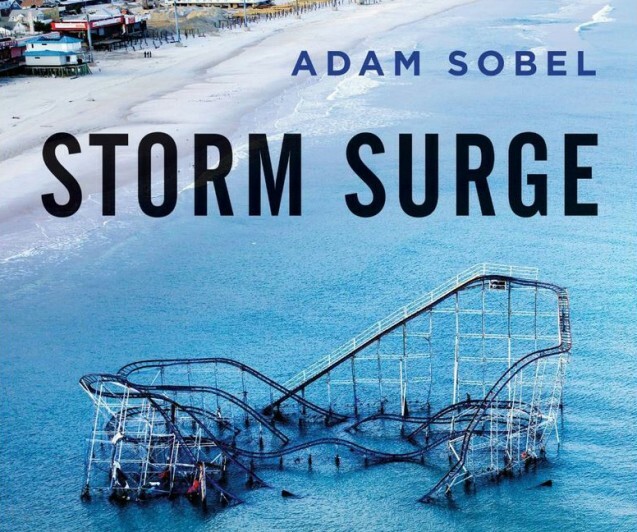 As Superstorm Sandy headed for New York City, Adam Sobel’s phone started ringing with calls from reporters, and it kept ringing as the subway tunnels filled with water, the storm passed, and the city started to clean up. The reporters wanted to understand the science behind the storm and what it meant for the future. 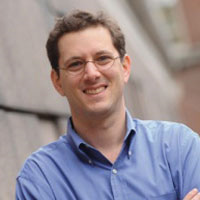 Their questions and Sobel’s conversations with colleagues across Columbia University working on issues related to extreme weather inspired him to write “Storm Surge,” a 2014 book about Sandy that just won the American Meteorological Society’s Louis J. Battan Author’s Award. The award-winning book about the origins and impact of one of New York City’s most destructive storms was just the first step. Sobel saw the power of those cross-disciplinary conversations to inspire new solutions, so he developed a way to sustain them. He launched and now leads the Columbia Initiative on Extreme Weather and Climate, which brings together experts and institutions from a variety of disciplines to tackle some of the world’s most complex problems around extreme weather and climate. Its objectives are wide ranging: improve forecasting of extreme weather to help communities prepare; study the risks and uncertainties of extreme climate and weather events in an integrated way; develop engineering solutions to protect against extreme weather; and develop strategies for dealing with financial risks. “A lot of the challenge is understanding what we as a species should do, because the disasters are getting more prevalent. In the last hundred years, both in human and financial costs, damages are skyrocketing. Most of that is just more people living in dangerous places, but climate change will be more of a factor as time goes on,” said Sobel, a professor of earth and environmental sciences at Columbia’s Lamont-Doherty Earth Observatory and of applied physics and applied math in Columbia’s School of Engineering. “Knowing what to do about it requires understanding not just the natural events but understanding the human systems that are affected,” he said. Sobel takes on those issues in “Storm Surge.” He discusses climate history and the science of atmospheric phenomena like the Madden-Julian Oscillation and the North Atlantic Oscillation that set the stage for the birth of the superstorm that became part hurricane, part nor’easter. He follows the forecasters and their sometimes emotional warnings, and the damage that ensued as Sandy and its 14-foot storm surge swept into New York City on Oct. 29, 2012. And he looks ahead to those questions from the reporters: what does it mean and what should we do? During the spring of 2013, Sobel led a graduate seminar about Superstorm Sandy that brought in experts from a wide range of fields. The class heard about disaster risk insurance and subway system design and had conversations about disaster management with the head of New York’s Federal Emergency Management Agency office and discussions about psychology and how people respond to disaster warnings. The new Initiative on Extreme Weather and Climate continues that theme. It brings experts from disparate disciplines together through workshops and conferences to inspire new questions for research and to collaborate on practical solutions, from building codes to more effective warning systems. The American Meteorological Society’s Louis J. Battan Author’s Award honors a newly published book about atmospheric and related sciences that fosters public understanding of meteorology. Learn more about the Initiative on Extreme Weather and Climate and the work underway at Lamont-Doherty Earth Observatory.